This video is incredible, I like how anything related to the Halo universe has an epic quality even in a short film. Is that you Staten? Beat it ! ;) Nah, it's shot well and gives some sweet details on the history of the Spartan. I love how Carter gets to 'choose' to get the 'upgrade'. I may be Staten, Nah. 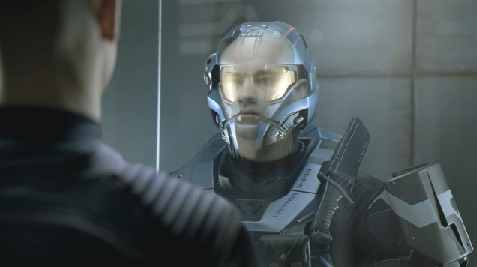 I wonder if this concept will be as explored as the 'Believe' advertisments for Halo 3. It would be awesome if they do one of these for each member of Noble Team. By the way I am sure you have already seen it but the video for this on the Xbox is quite a bit longer.